#4 - 9701 Menzies Street, Chilliwack, B.C. Open 5 days a week to serve you! Tues- Sat: 8:30 am - 4:30 pm. NAMED THE FINALIST on the A LIST for Best Groomer IN THE CHILLIWACK PROGRESS! CELEBRATING 10 years! Randy Newbury was named the best groomer in White Rock for 5 consecutive years before starting his grooming shop in Chilliwack. He is certified by the International Professional Groomers Association and National Dog Groomers Association of America. The best is right here in Chilliwack. 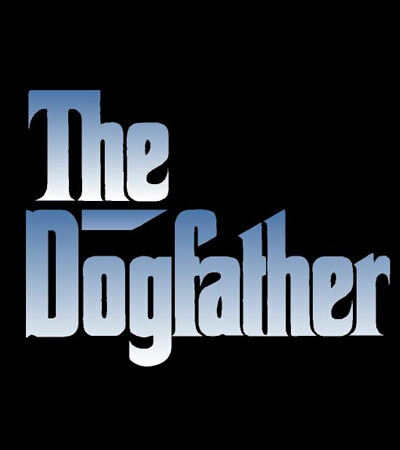 The Dogfather has clients of pet and show quality and is thrilled to add your dog to his client list. Susan and Randy Newbury at the Grand Opening at The Dogfather August 1st 2009.